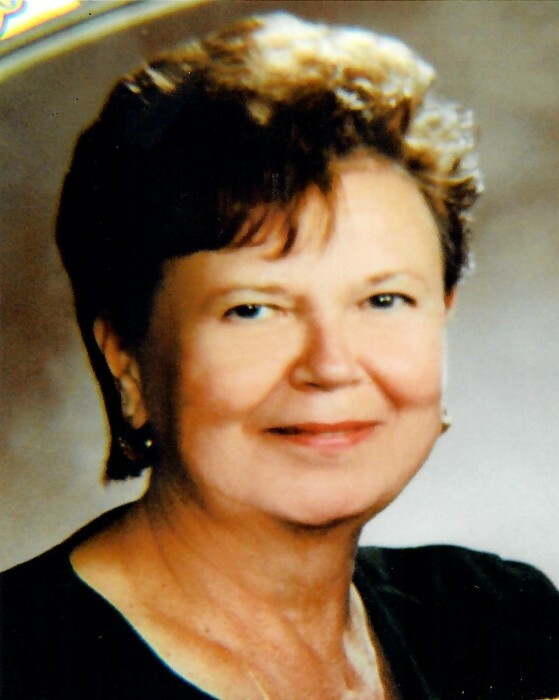 Irene P. (Binette) Hartnett passed to eternal life at Oakland Grove Health Center on October 15, 2018 after a long and courageous struggle with Alzheimer’s disease. Born in Woonsocket RI, on August 29, 1942, she is now united with her parents, the late Omer and Mary (Pasichny) Binette. She enjoyed growing up in Blackstone, graduating from the former Blackstone High School and the Ward School of Business in Worcester, MA. She is survived by her husband of fifty-four years, Frederick W. Hartnett and was the devoted and proud mother to Bryan S. and his wife Lauren A. (Laske) Hartnett, and Eryn L. and her husband Timothy M. Hemmert. In addition, she was the special Grammy to the joys of her life, Lindsey, Katherine, and Tara Hartnett, and Matthew and Casey Hemmert, whose activities and sporting events she never missed and loved to attend. She worked for various companies after graduation and was the co-owner of the Arena Pro Shop located in Mt. St. Charles Arena for ten years. She was a creative and talented artist and also taught arts and crafts in her home for several years. She also enjoyed traveling to St. Maarten in the Netherland Antilles and playing golf with her husband. Also surviving are her sisters, Constance (Richard) Bousquet and Mary Ann Jolicoeur and several nieces and nephews. She was the mother of the late Irene P. Hartnett and sister in law to the late Charles W. Jolicoeur. Irene would want the CNAs and nursing staff who cared for her with such care and compassion to know how much she cared for them in return. Her funeral will be held Friday, October 19, 2018, at 9:00 AM from the Holt Funeral Home, 510 South Main St. Woonsocket, with a Mass of Christian Burial at 10:00 AM in Holy Family Church, 414 South Main St., Woonsocket. Burial will follow in St. Paul’s Cemetery, Farm St. Blackstone, MA. Calling hours are Thursday from 5 – 8 PM in the funeral home. In lieu of flowers, contributions to the Alzheimer’s Association of RI, 245 Waterman St., Suite 306, Providence, RI 02906, attention to Bella Garcia, would be greatly appreciated. Please reference Team Irene in the memo line of the check. Irene would be most grateful for the contribution to help end this terrible disease.